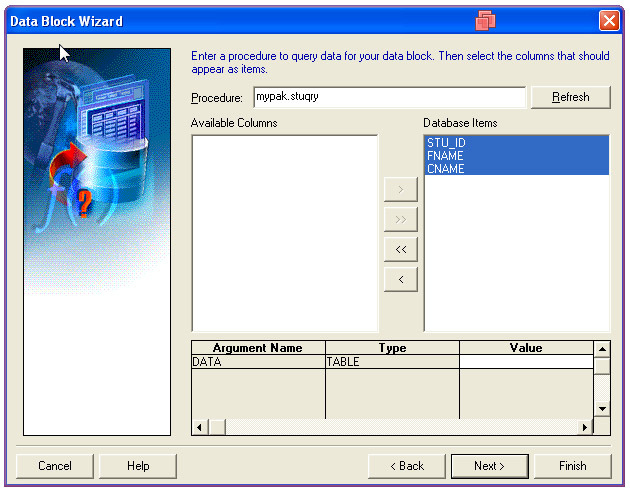 Create table student using the following query at SQL*Plus environment. 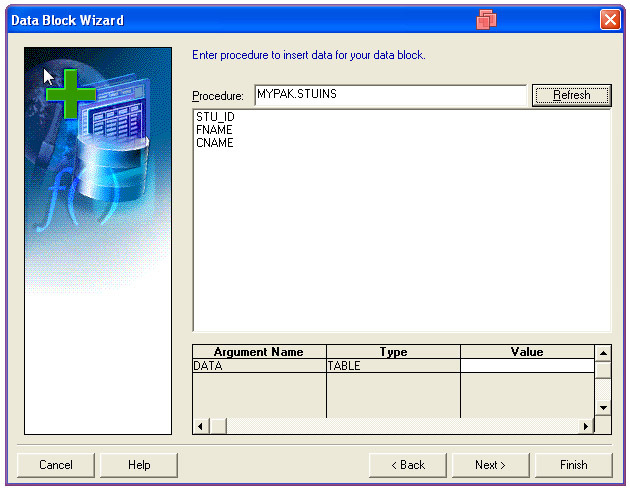 Create new form using Data Block wizard. Now, we will get Layout wizard, complete the layout wizard. Enter the following details and save. We get the confirmation message as "Transaction Completed"
Now, we can see the record at our SQL*Plus environment. 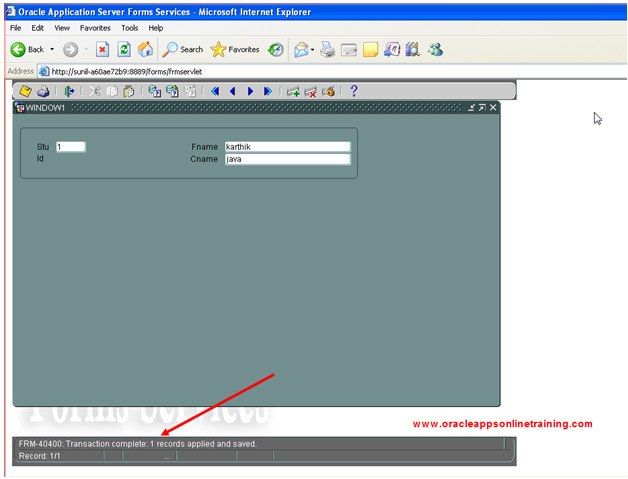 Insert multiple records and check the execute query functionality. 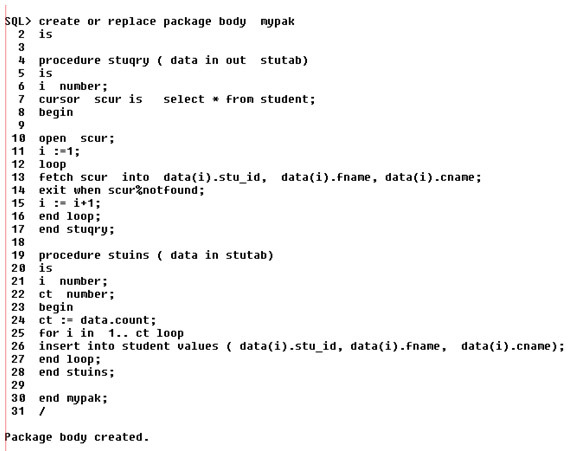 We can have custom code for data manipulations and retrieval purpose rather than depending on system defined code given by forms.